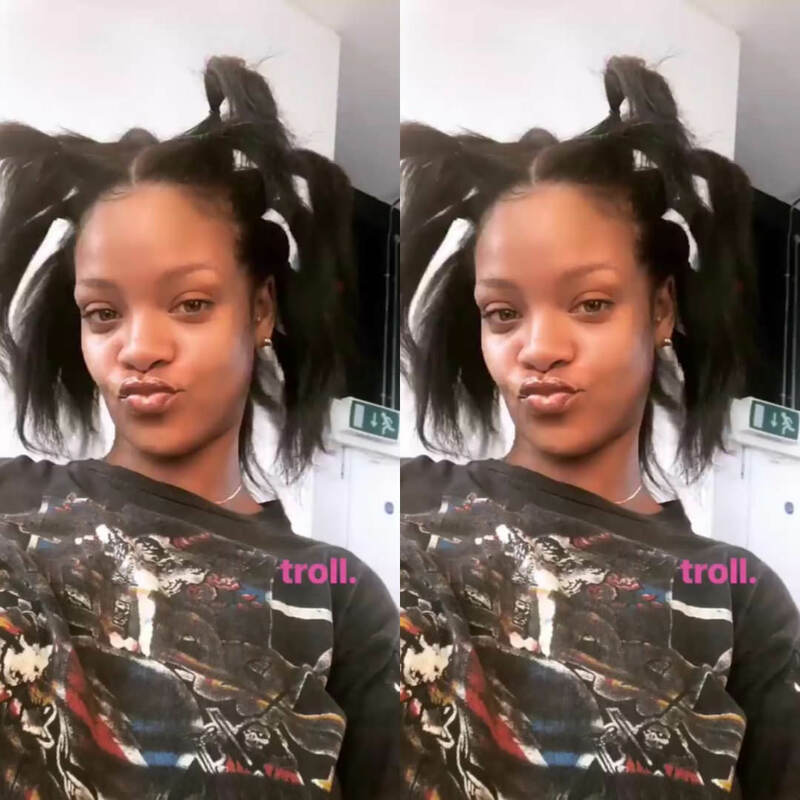 Rihanna loves the Story feature on Instagram and on July 30 she posted a Boomerang on there. The singer rocked her natural hair in a crazy ‘do that invoked images of troll dolls. It looks like she was on a set that day. We’ll have to wait and see what that was all about but for now let’s discuss her top. Rih rocked a vintage Grateful Dead t-shirt from the early 1980s. Pictured above is the same tee but in better quality. Rih picked hers up from What Goes Around Comes Around in New York City and it’s the very same one that she performed in at Coachella two years ago. There are numerous places to pick up band tees, both new and vintage. 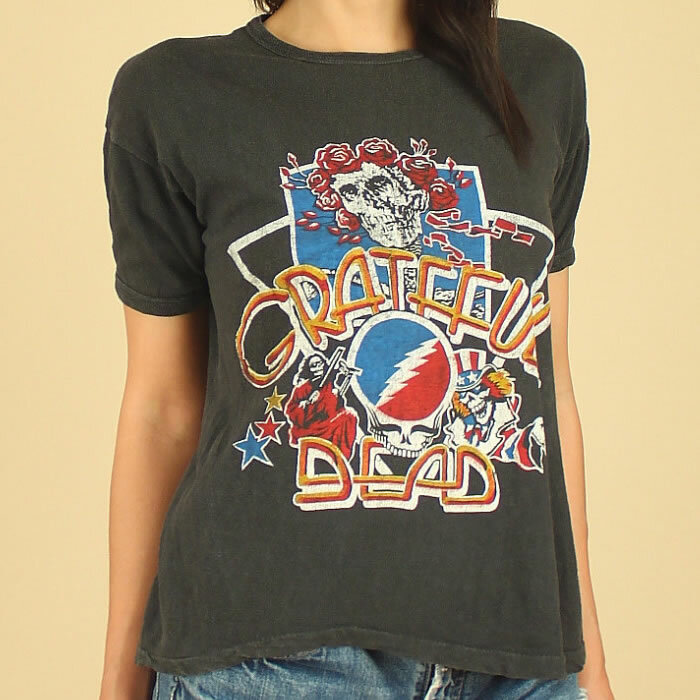 Check out Madeworn’s selection of vintage band tees at FRWD and Shopbop. Junk Food Clothing has several as well over at Revolve.